Dzhokhar Tsarnaev has been sentenced to death for carrying out the 2013 Boston Marathon bombings and reactions have been pouring in from all over the US. Some believe the penalty is appropriate while others argue capital punishment is never justified. Tsarnaev, a 21-year-old ethnic Chechen, was found guilty in April of all 30 charges he faced, 17 of which were eligible for the death penalty. On Friday, he was sentenced to death for some ‒ but not all ‒ of the capital charges. This marks the first time that federal prosecutors have been able to win a death penalty verdict since after the September 11, 2001 attacks. The same jury of seven women and five men who condemned Tsarnaev for the crimes was also responsible for deciding his punishment. 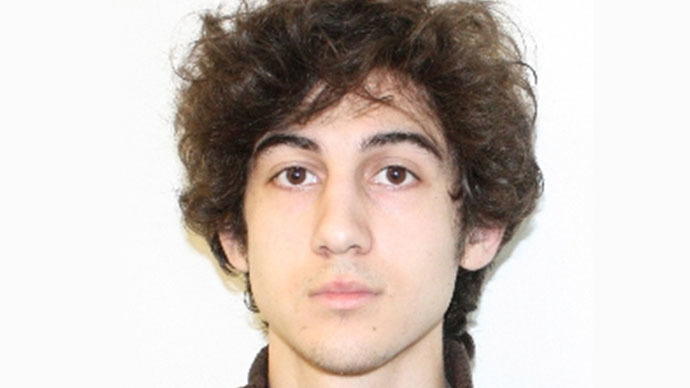 Upon hearing his fate, Tsarnaev reportedly had no visible reaction in the courtroom. Shortly after the verdict was rendered, US Attorney General Loretta Lynch called the death sentence “a fitting punishment." Ortiz said the prosecution did not decide to pursue the death penalty “lightly,” but only after a long internal process at the Justice Department. Upon hearing the sentence from an Associated Press reporter, Tsarnaev’s father, Anzor, reportedly “groaned” and “moaned deeply” before hanging up the phone. However, he told ABC News that "We will fight. We will fight. We will fight until the end." Multiple Boston Marathon survivors reacted with relief at the news, saying the penalty helps give them closure and the ability to move on. Asked if she was happy about the sentence, she said “happy” is not the word she’d use to describe her feelings. My mother and I think that NOW he will go away and we will be able to move on. Justice. In his own words, "an eye for an eye". “It is outrageous that the federal government imposes this cruel and inhuman punishment, particularly when the people of Massachusetts have abolished it in their state,” said Amnesty’s executive director, Steven W. Hawkins. “As death sentences decline worldwide, no government can claim to be a leader in human rights when it sentences its prisoners to death."